OBJECTIVES When you are reading the material for this section, pay careful attention to the way that tariffs are effected by circumstances of the Competitive Environment and the Political / Legal / Regulatory Environment - particularly the rulings of the WTO and analysis by the OECD. INTRODUCTION Tariffs - the taxing of imported goods and services is a technique used by national and regional governments to help make vulnerable businesses more competitive. In Canada there are several tarfiffs on imports from American and European and Asian countries. The controversial Canadian tariffs are the ones we use to protect our automotive, agricultural industries, forest products, and mining and steel. All of these sectors are noted for the geographic concentration of their activity, which translates into a local constituency which may or may not re-elect the local member of parliament - depending on whether that person "can keep the saw mill running...". There is a lot of pressure on elected politicians to fight to keep tariffs since it can mean the difference between getting re-elected, and not - if the main business in your constituency becomes uncompetitive and starts to lay off employees, the dislocation in the community can be very significant. UTSC student Anisah A. (in MGTC46 Jan 2009, and formerly in MGTC44 in 2008) emailed to note a USA/France tariff spat related to cheese. "I was watching BBC News yesterday and I saw a very good example of how politics and a country's political environment can affect exports and trade. 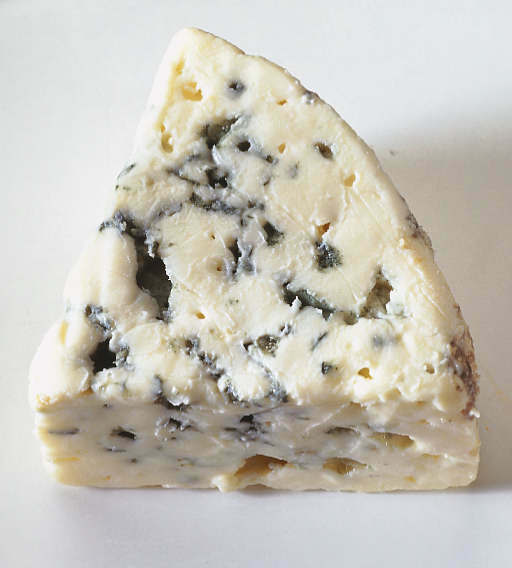 Apparently in the last few days of the Bush Administration, President George W. Bush placed a 300% tariff on France's roquefort cheese. While tariffs were placed on a number of goods with tariffs of 100%, roquefort cheese was the only product singled out for a 300% tariff. Some in France see this as George Bush's parting shot at France for its outspoken opposition to Iraq war as it's a uniquely French export. The reason given by the U.S. for the tariff was to counter the European Union's failure to allow imports of hormone-treated beef. 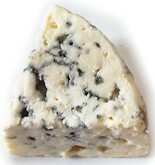 Cheese farmers have sent a sample of Roquefort cheese to President Obama in hopes he would reverse the tariff. Even famous anti-globalization activist Jose Bove who vandalized a McDonalds last time the U.S. raised the tariff on Roquefort, weighed in saying Obama was cultured and hoped he would take their issue seriously." processed wood, like plywood, fiberboard, mouldings, shingles, etc. "Canada’s forest products industry is an $80 billion dollar a year industry"
One of the major problems in Canada-USA trade is the ongoing conflict due to American tariffs and duties on Canadian forest products going into the U.S. market. "U.S. Slaps 10% duty on Lumber"
"The United States will slap a 10 percent duty on some imports of Canadian lumber after Ottawa failed to abide by a trade tribunal ruling, the U.S. Trade Representative said"
Rampton explains "The new tax in the long-running bilateral dispute between the world's two biggest trading partners comes amid growing concerns over nations around the world walling off their borders to protect jobs." ... adding "The U.S. economic downturn and collapse of the U.S. housing construction market has led to massive layoffs in both the U.S. and Canadian lumber industries." "Canada was found in breach of its softwood lumber trade deal with the United States earlier this year, when the LCIA, formerly the London Court of International Arbitration, ruled Canada miscalculated quotas for some lumber exports for the first half of 2007." accessories and devices, eg. in-car GPS, DVD etc. industry Tariffs are one of the ways that government have traditionally protected their domestic auto manufacturing and parts industries from cheaper imports. In January 2008, the premier of Ontario announced that they will "explore slapping tariffs on Hyundai and Kia cars if Ottawa signs a free trade pact with South Korea that's unfavourable to Ontario automakers"
The point being that the federal government might want a Free Trade situation with Korea for larger purposes that benefit the country as a whole, but Ontario, which is the center of the automotive industry has had a disadvantage in the auto business with Korea. and only exporting 100 cars to R.O.K. If the province wanted to put a tariff on Korean cars, the question is (in the context of the political environment) can they? It has been suggested that the federal government may not allow this tariff, further more it may be contrary to WTO rules and regulations. In June 2012, student Soo K. (who speaks Korean) in MGTC44 at University of Toronto, Scarborough emailed to provide an update on the Ontario vs. South Korean automobile companies with regards to tariffs. We talked about how Ontario is one of the major international exporting provinces in the automobile industry. As a result, reducing tariffs via a Free Trade situation with Korea would bring unfortunate consequences to Ontario. While I was researching about it, I found out that the Harper Government has identified Korea as a priority market for Canada. And in response to Korea removing its ban on imports of Canadian beef from cattle 30 months old or less, the government is working towards completing the delayed FTA negotiations. As a benchmark, KORUS FTA benefited US in terms of competitive dynamics. Canada should decide to diversity its exports and negotiate ambitiously with FTA with Korea. I found an article that talks in detail about different factors that comes into this negotiation such as Japan Automotive Manufacturers’ Association’s concerns, Canadian farmers’ positions and etc. continue to perform well in the community of international business. yes Soo, this is a good story, and there is always a political angle - does the government want to facilitate exports of beef from Canadian farmers - which are in Western Canada - and in the home of the government's political supporters, or protect the auto workers in Ontario, which is home to the unionized auto workers, which traditionally vote for the NDP political party.